I’m in Zimbabwe, halfway through a two-week photography and writing assignment for the Elizabeth Glaser Pediatric AIDS Foundation (EGPAF). 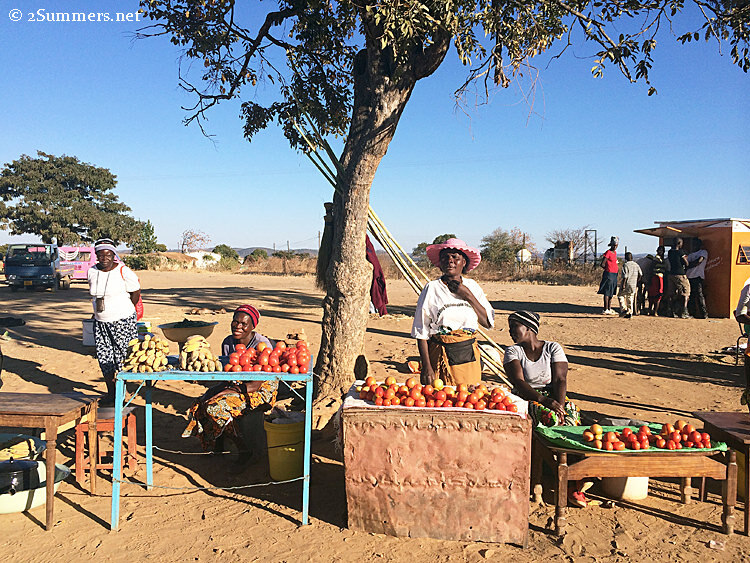 I’m traveling all over the country — from the capital city of Harare to some of the country’s most remote rural villages and back again — documenting success stories in pediatric HIV and AIDS prevention. The photos and stories that I’m compiling will eventually be published in a book. I can’t show you the actual pictures that I’m taking for EGPAF. But I’m sneaking this one in because it’s one of my favorites. I’ve forgotten this three-year-old girl’s name — I’ve met too many people this week. 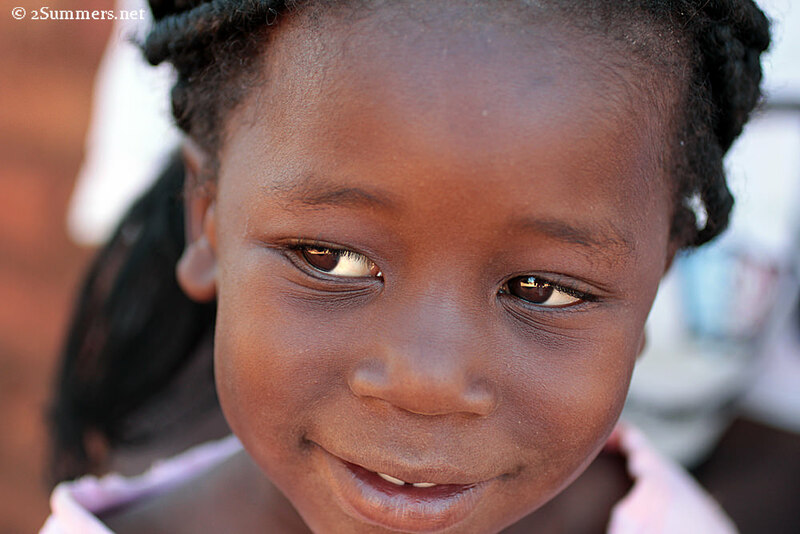 Her mother is Brenda, a community health worker I interviewed in Dete Village in Mashonaland West province. There is nothing I enjoy more than traveling to remote, beautiful places in interesting parts of the world, talking to interesting people and taking their photos. And there is no better place to do this than Zimbabwe. I hate to sound cliché but this week I have been struck again and again by how kind, open, intelligent, and welcoming people are in this country. I can’t believe how lucky I am to be here doing this work. I’m exhausted though, and I still have another week to go. Fortunately I’ve had the whole weekend to hole up in a hotel in Harare and rest. I feel like I should be out exploring the city but I am just too tired. The Crowne Plaza-Monomotapa Hotel, my base of operations in Harare. This hotel has seen better days (it’s no secret that economic times are tough in Harare and the rest of Zimbabwe), but it’s still pretty great and the service is exceptionally friendly. 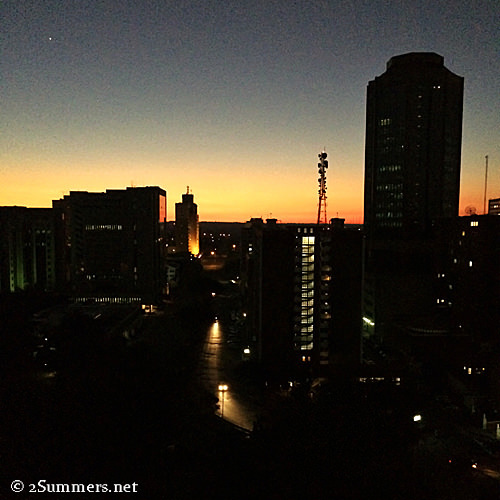 Early-morning view of downtown Harare from my 14th-floor room at the Crowne Plaza. There is a big park next door and I can hear tons of birdsong at sunrise. The park is filled with church music on Sundays. Here is a random collection of cool things I’ve seen and done this week, accompanied by a random collection of iPhone photos. 1) Arriving in a tiny village called Chikato in Midlands province, near the town of Gweru, and being welcomed by the amazing Makonto family and members of their community. There was much singing and dancing and photo-shooting. (The Makontos and their friends took nearly as many photos of me as I took of them.) I had my first home-cooked Zimbabwean meal with the Makontos: roasted ground nuts, fried road-runner (local chicken), sadza (maize-meal porridge), and yummy wild green vegetables cooked in creamy sauce. Group photo at the Makonto homestead. On the far right is Sitshengisiwe, my awesome EGPAF guide, fixer, and friend for these two weeks. Photo by Stuart Gochi, our equally awesome EGPAF driver. 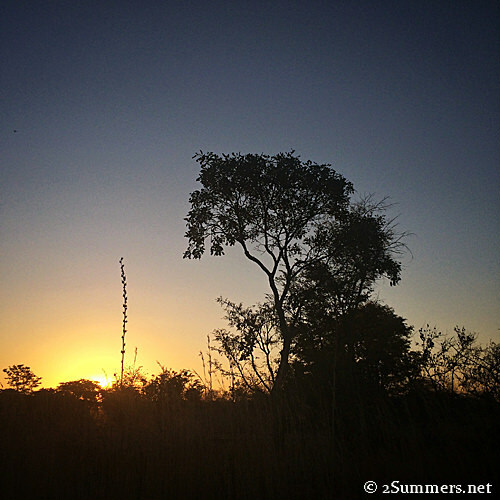 2) Catching a couple of stunning sunsets on the road in and out of Gweru. Shot in Kadoma, between Gweru and Harare, while waiting 30 minutes at one of many unbearably long road-work stops. If you’re planning to drive between Harare and Gweru anytime soon, note that it always takes twice as long as anticipated due to road construction. 3) Passing a lady walking along the highway with a television balanced on her head. Unfortunately I didn’t get a photo of that. 4) Meeting Mabel, a volunteer “peer facilitator” (kind of like a community health worker) in Dete Village, and taking photos of her and her gorgeous family. I’m so impressed by the work that Mabel and her colleagues are doing in their communities, motivating women to attend antenatal clinics during their pregnancies, test for HIV, immunize their children, etc. 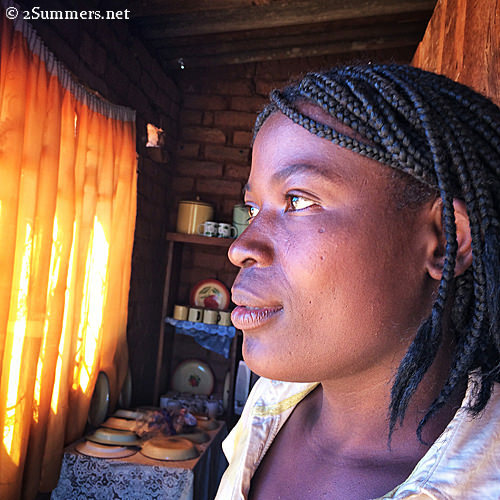 Mabel in her home in Dete Village. Dete was the most remote place we visited last week. 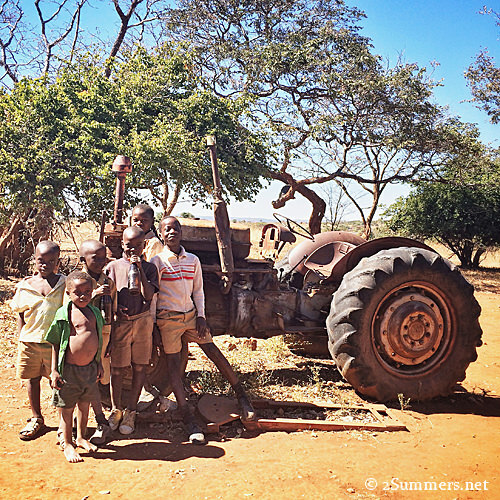 It’s about 50 kilometers — on rough mountain roads — from the small town of Karoi, which is about 80 kilometers from where we were staying in the slightly larger town of Chinhoyi. 5) Buying the tiniest, tastiest bananas on earth from friendly vendors in Dete. Bananas are R5 ($.50) for a bunch of 15. Each tiny banana can be eaten in two or three bites. 6) Having an enlightening conversation with Johnson, a 12-year-old boy in Chundu Village. Johnson was eager to practice his English with me. He asked where I’m from and I said America. His face lit up. “I am a black American,” he told me. Johnson is the boy on the right. 7) Encountering more gobbling, cheaping, tail-wagging, mooing, braying domesticated animals than I’ve ever seen in a single week. 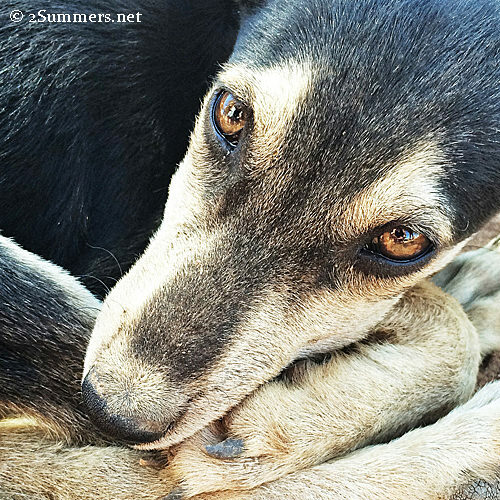 This puppy belongs to Maggie, a mother of six in Chundu Village. He follows her everywhere. 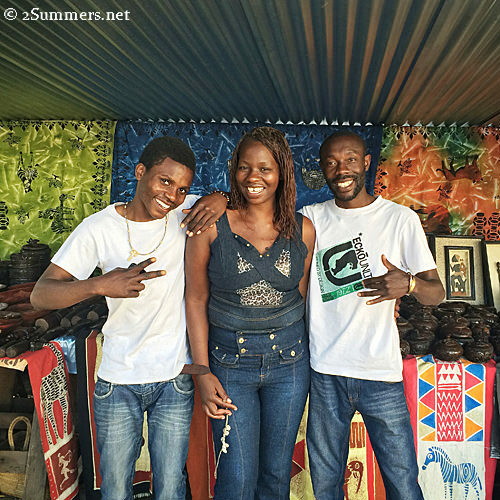 8) Chatting with Magdalene, the cheerful Zimbabwean art vendor, next to Avondale Shopping Centre in Harare. From left: Munyaradzi, Magdalene, and Sadler. I wandered into this outdoor shop, more of a stall really, on my lone outing out of the hotel yesterday. As I’ve mentioned in a couple of previous posts (see here and here), Zimbabweans are known for their beautiful crafts. They are also the friendliest salespeople. I bought a few things from Magdalene and her friends even though at first they didn’t seem to have what I was looking for. But the best thing I got from them was lovely conversation. I talked about my blog and Magdalene said she is also an aspiring blogger and writer. We discussed our ideas for a while, and eventually I said goodbye. “It was a pleasure meeting you,” I said to Magdalene. Hopefully I’ll have time for another Zimbabwe update later this week. And by the way: I miss you, Jozi. I really don’t like to be away from you for this long and I can’t wait to see you again next Saturday. What a wonderful experience you are having. Thank you for sharing this. If I were younger I would be out there with you. I absolutely adore Zim. I’ve been twice and I’m itching to go back. 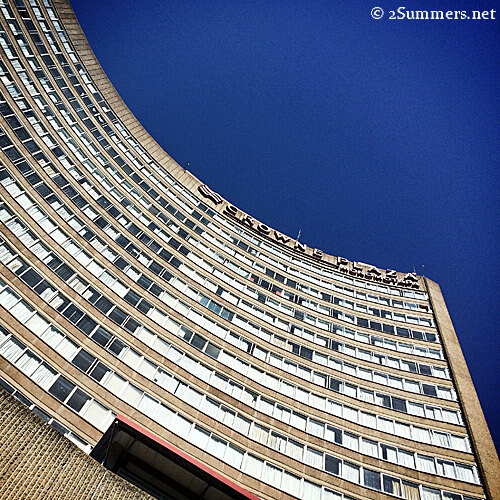 I saw Bulawayo a few years ago when it was in really bad shape, but apparently it has since gotten better so I’d love to visit again, but heading north is another item on my list of things to do! What beautiful pictures. I will be working in the region and infact have all our names on a list I sent through to invite to experience the region. I love this post thank you Heather. I also love Zimbabwe. Have not been in two decades but the four times I went – I was just blown away. Thanks so much Vanessa, I’m glad you enjoyed the post. I’m really hoping to come back soon and explore from a tourism perspective. I’m so jealous of you for getting to do this. I only visited Zimbabwe once, and that was at Vic Falls, which in my mind isn’t a good representation of the rest of Zimbabwe as it is so tourist-ridden. 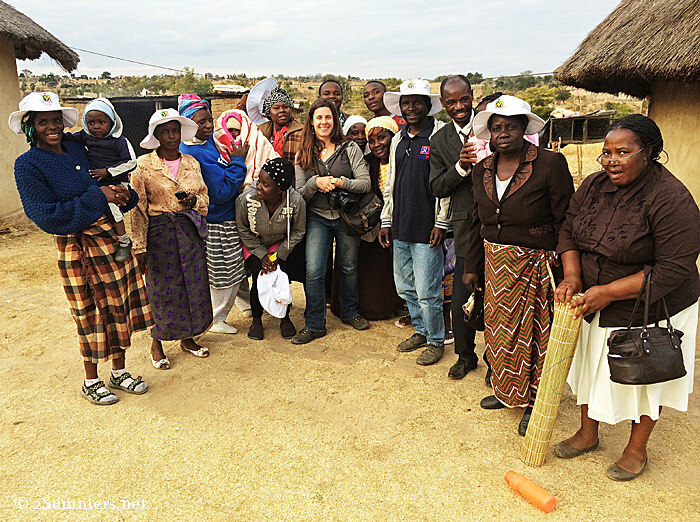 Of all the people I met while In South Africa, some of my favorite were Zimbabweans. I don’t know, there is just something special about them, and about their history. I read all the Peter Godwin books, they are mesmerizing (if increasingly dark the more recent they get), and I’d love to have been able to see for myself. Yep, totally agree. It’s a special place with special people. Thanks so much. Glad you agree about the bananas.